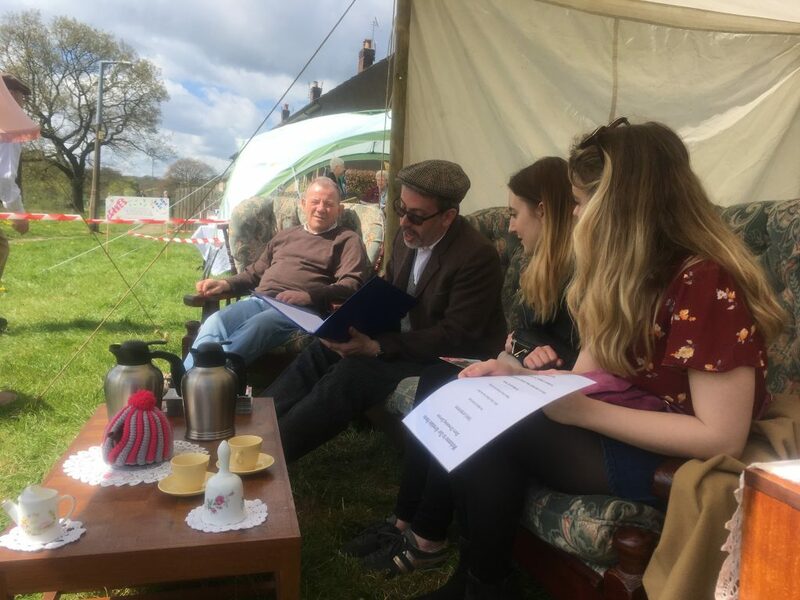 Two events were advertised as taking place on the ‘Higher Coach Road River Meadow’ — informal storytelling and songs by Steve and Eddie, under the Welcome to… title, and a 1950s-themed picnic, put together by HCRRG for residents and visitors. In practice, though, these two elements became one, with the storytelling ensconced comfortably as part of the picnic. Here’s what it all looked like from a distance, during setting up. 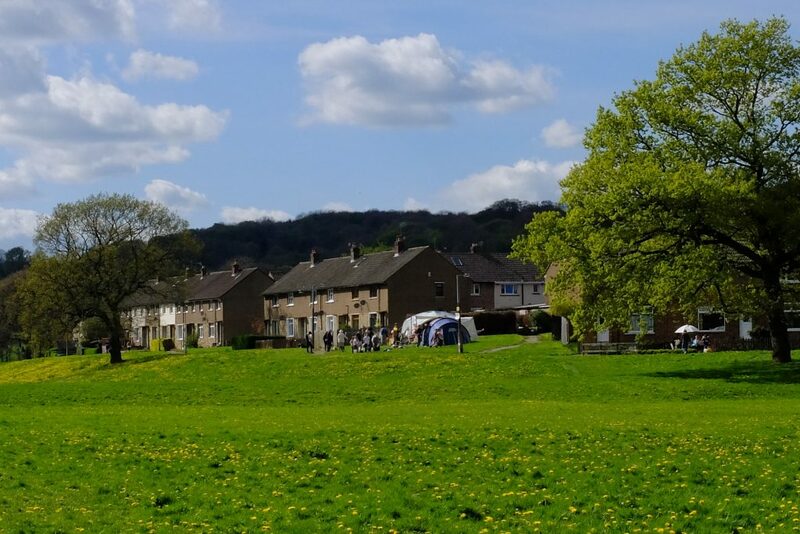 The 1950s theme for the picnic, suggested by HCRRG’s Ruth Bartlett, was of course inspired by the fact that this estate was built in the 1950s, by Shipley Urban District Council: it was part of the post-war dream of decent, affordable housing for all. 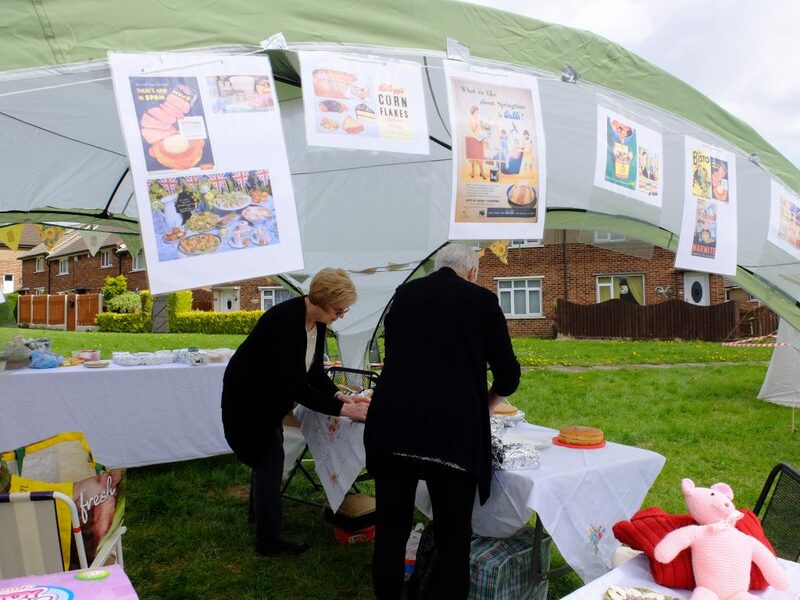 The heart of the picnic was of course the food stall, selling beautifully made cakes and sandwiches (in aid of HCRRG). The gazebo advertised its 50s food credentials! 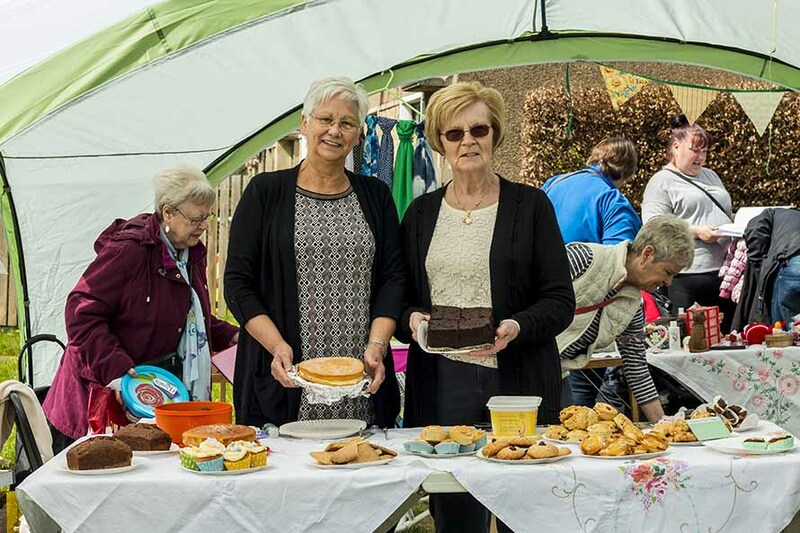 The food stall was masterminded by Irene, Hazel, Elsie and Pat (seen left to right in the picture below, with Hazel and Elsie in the middle), with help also from other friends and neighbours. Great job all of you! 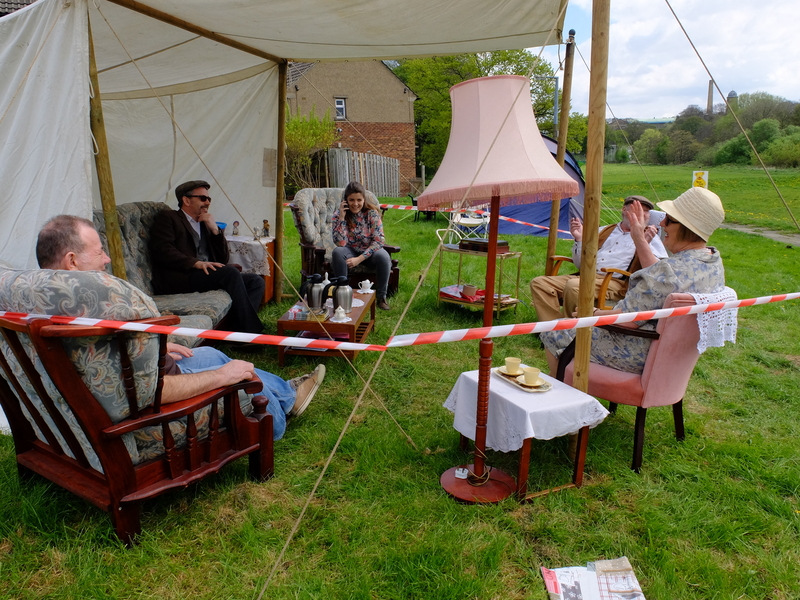 The residents also erected a kids’ play tent and encouraged them to play 1950s-style outdoor games like hopscotch and ring toss (see our gallery of black-and-white pictures of the picnic by photographer Nigel Terry, who also took the better colour pics here!). 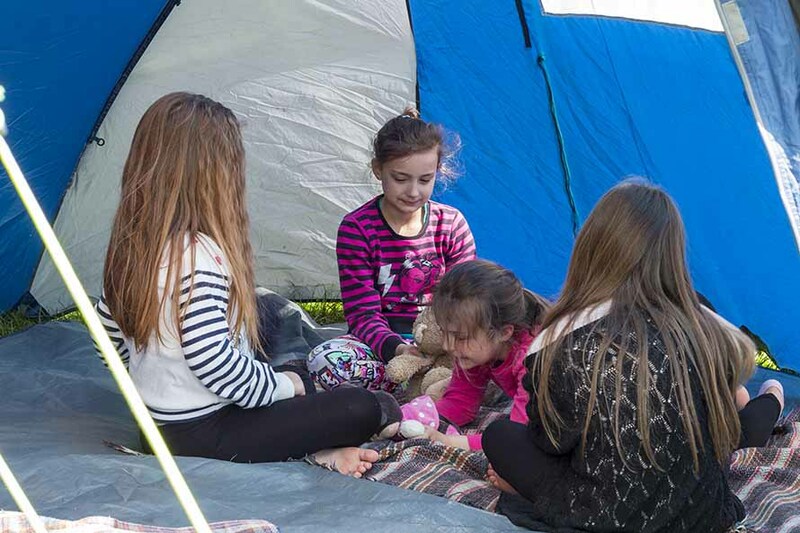 Between the food stall and the kids’ tent was this… our “outdoor living room”. 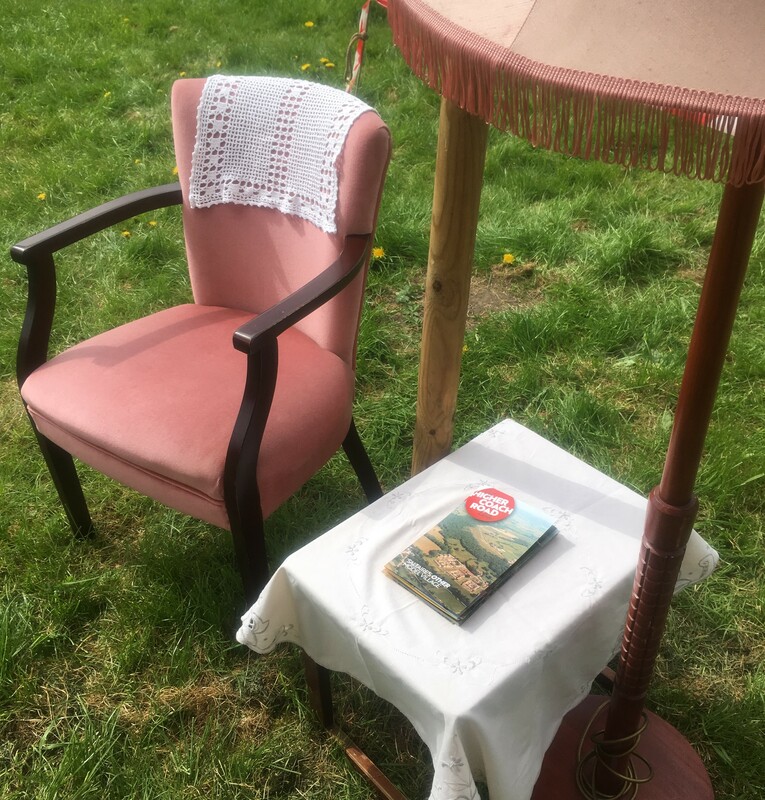 Inspired by the lyrics of Eddie’s song “Welcome to Our Airedale Home” (“we’ll go and put the kettle on, if you’ll just sit yoursen in a chair”) we wanted to create space for people to sit, chat and laugh — just as if in someone’s home, but where everyone is welcome. 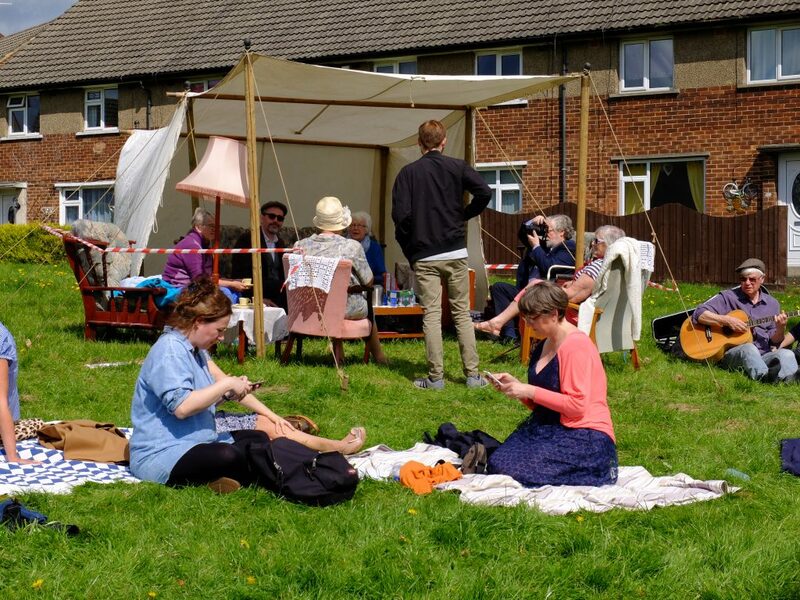 During the afternoon, lots of people happened by the picnic area, to hang out in the sunshine, chat about the estate and its history, and listen to Eddie play (there he is on the right, above). 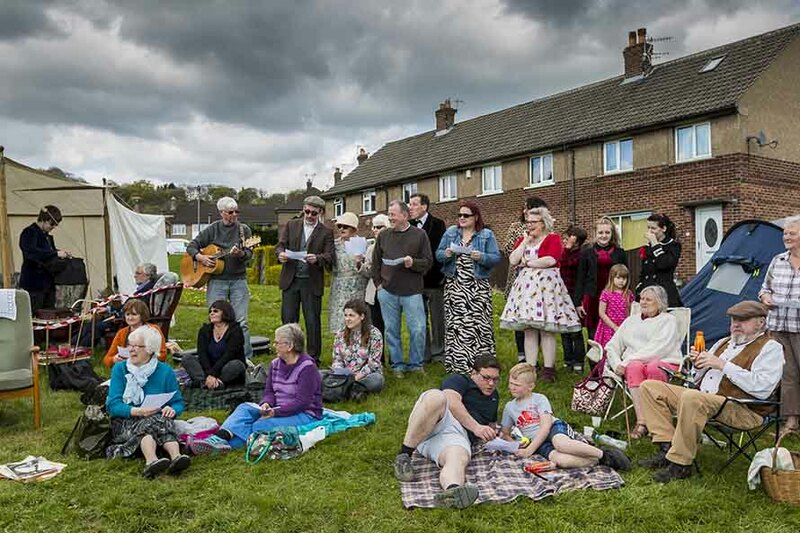 Picnickers included both residents of the estate and World Heritage Weekend visitors from around and about (I spoke to a group up from Halifax, and there were even some French visitors!). Visitors to our Airedale Home also had the opportunity to pick up our brand new leaflet about the Higher Coach Road estate (the cover of which is featured at the top of this page). 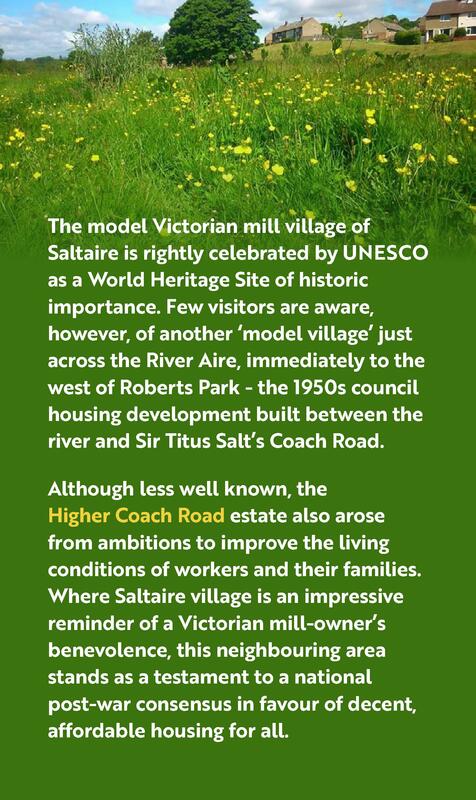 This too was a collaboration between MSW and HCRRG: the leaflet was conceived as a piece of “alternative heritage literature”, identifying Higher Coach Road as “Saltaire’s Other Model Village” — a claim justified by the accompanying text. 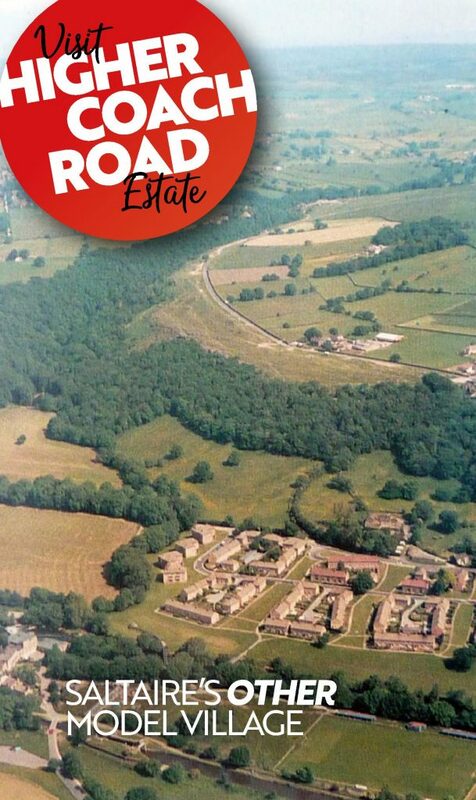 You can download a PDF of our Visit Higher Coach Road here. 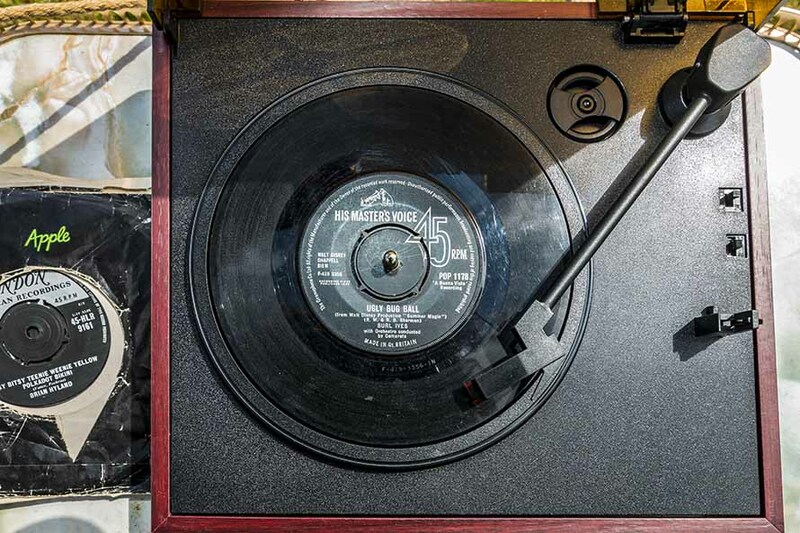 The picnic eventually wrapped up with a sing-along led by Eddie, in which everyone still present joined in the chorus of “Welcome to Our Airedale Home”. Here the song’s key sentiment (“there’s allus a welcome around — if — you leave the place as you found it”) was deployed as part of the ongoing protest over plans to redevelop the nearby Milner Farm (see this blog post for details). You can also read a blog account of this 2017 contribution to World Heritage Weekend — posted immediately after the event — just here. As already noted, there’s also the black-and-white photo gallery here. 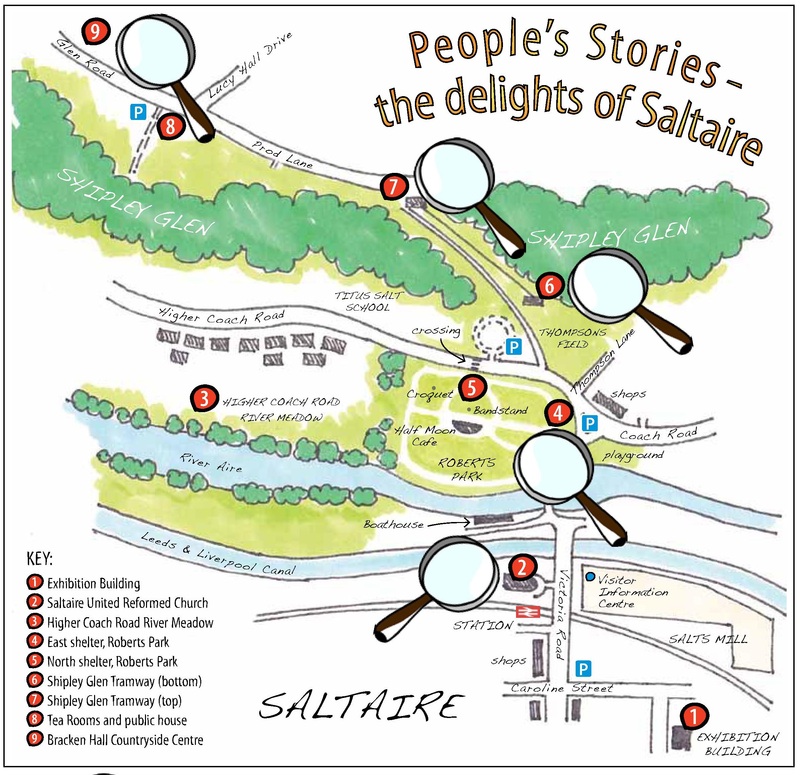 And our Visit Higher Coach Road leaflet can be downloaded in PDF form here. Huge thanks to everyone involved in putting these events together.